It’s one of the biggest clichés about the French. In addition to wearing Breton stripes (which happens surprisingly frequently), riding bikes carrying baguettes (which happens more often that you’d expect) and wearing berets (which almost never happens), any caricature of the French will inevitably involve letting out an oh-so sing song “Oh là là“. The best thing about this cliché is that it’s actually true. Living in Paris you hear it at least once a day, probably more, and after a while you find yourself saying it almost as much. It comes in many different forms and its beauty is that it’s used by all – women, men and kids alike. There is the “traditional” method, most known to foreigners and often (though not exclusively) used by women, which is the prim and proper “Oh là là“. This is used to express admiration, almost in the same way we anglophone girls of a certain age use the phrase “Oh my god”. For example, you show someone your new ring and they say “Oh là là c’est trop jolie !” (“Oh my god it’s so pretty!”). It is high, light and happy. This is a good “Oh là là”. Then there is the bad “Oh là là“. Perhaps predictably, the French often employ the bad “Oh là là”, used more in the sense “Oh my god that’s freaking annoying” (“Oh là là ça me saoûle !”). For example: a car burns through a pedestrian crossing nearly knocking you over or just doesn’t stop to let you cross the road generally; a biker rings their bell at you (don’t they know it’s OK for me to do it when I’m on a bike, but not them? ); someone cuts you off in the cojean line; the cashier at the supermarket tells you “je ferme ma caisse moi” (“I’m closing my till”) even though the queues are huge; you have to wait more than 3 minutes for a metro (“Oh là là – 4 minutes” ?! ); people start getting into the metro before letting you out; the metro driver says the train will be stopping for a moment for the “régulation du trafic“, etc. This “Oh là là” (or even “Ho là là”) is low, baritone and disapproving, often muttered under your breath. I use it a lot. (Note to self: I should really stop taking the metro). Then there is the pièce de la résistance (which, incidentally, is not something the French say. Go figure.) – the “Oh là là là là là là“. Yes that’s right. Six “là“‘s – no more, no less – in quick succession. This is bad. This is very bad. Not to be bandied around lightly – this is reserved for those head-in-hands, all hope is lost kind of moments which, again perhaps unsurprisingly, happen in Paris more often than you think. when you get halfway home from CDG and realize the cab driver doesn’t take carte blue; when you are told the musée will take no more entries for the day even though you’ve already spent an hour in line; when the sandwich guy (that’s him below) at the Marché des Enfants Rouges says there’s no more parsley so he cannot make the sandwich you want (he will only make a sandwich if he has ALL the necessary ingredients, or else he would not do it justice. Begrudging respect for the principle, but I want my damned sandwich); when your downstairs neighbours come home at 6am and start testing their sub-woofer sound system; when you spend half an hour on the phone listening to crappy music waiting to be connected to someone at [insert name of French administrative body here] and then the line just cuts out. These are the moments when “Oh là là là là là là” is really the only way you can express your frustration/anger/hanger (hunger + anger). It is satisfying. 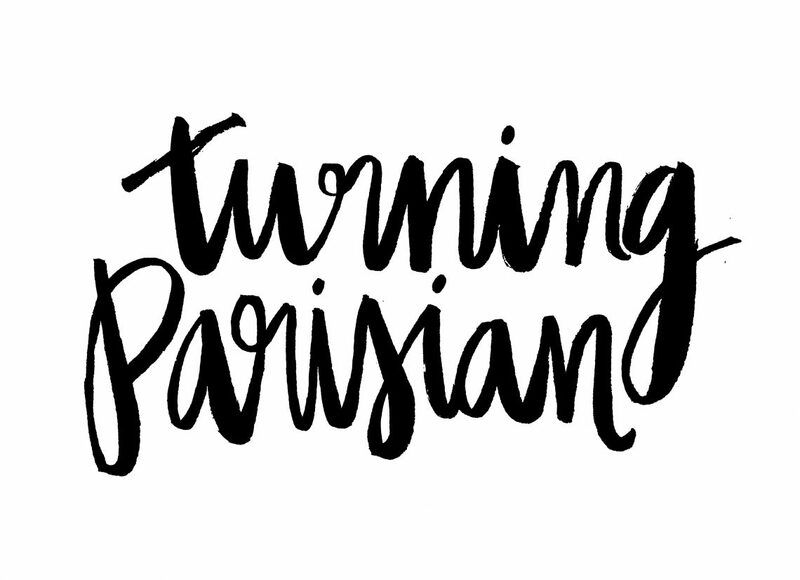 If you live in Paris long enough, it will become your reflex. And that’s when you’ll know you’re turning Parisian. Oh là là, not to be confused with the “English trying to sound French” “Oo lah lah”, nor with the guttural Roh là là, used by only the very fed up. Ah Ah Ah so true! Your text should be read in French Civilization classes!! !